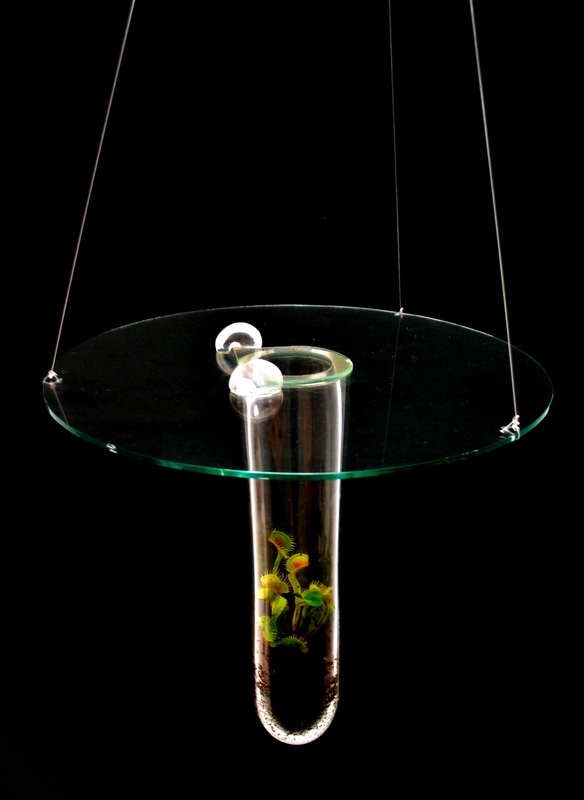 ​The design of the Terrarium is adapted from the habitat of the Trap-Door Spider. As an homage to the habitat's design being fit for a predator the Terrarium is presented with Dionaea muscipula (Venus Fly Traps). With the glass closed the environment produces it's own atmosphere. The moisture actually causes surface tension on the glass lid causing an air tight seal allowing no need to water between feedings. When the door is opened the plant's aroma attracts flies and and other small flying pests. It's flat perimeter also functions as a shelf. If kept outside simply close the lid during rain and the air tight seal prevents the habitat from flooding any plants you choose to host.